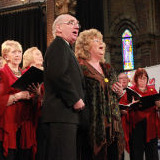 Singing together - we were also able to experience this during our ninth choir tour. 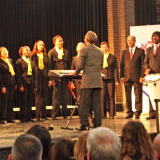 We had fulfilling and touching moments with singers of other nationalities - encounters that once again gave us wings. The choir, which is "pulled together" after this tour, takes a long time to live from these experiences. We do not want to miss our choir tours, their motivation is incredible. Thanks, "music&friends", for the perfect organization! Well-kept and with a backpack full of beautiful impressions, we returned to the Basel area on Sunday evening. It was really great days that we were allowed to spend in Munich. The weather has also shown its best side. Everything was well organized and worked wonderfully. For that I would like to thank you once again in the name of the police music Basel-Landschaft. Our choir Boni Discipuli participated in the International Festival Cantate Dresden for the first time this year. It was a great honor and an extraordinary experience for us. The festive atmosphere, the attentive audience and the perfect organization impressed us a lot. The city of Dresden showed us the best, also with the help of our interpreter. We would like to thank you for your perfect cooperation and support. The festival became the highlight of the year for us. 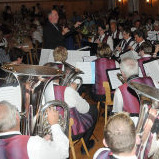 The Boys Band Nördlingen has meanwhile returned safely from their concert tour to the Czech Republic. 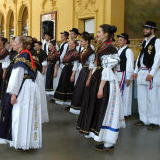 We were able to experience interesting days with beautiful concerts and many tourist insights. For this, I would like to thank you personally in the name of the boys' band, by Mr. Stadtmusikdirektor Georg Winkler personally for your thoughtful and prudent preparation and organization. Once again "music&friends" has done a great job, so that our stay could run like clockwork. Many, many thanks for the nice time in Prague, and the wonderful event! We in the choir all appreciated the help we got before arriving in Prague - about the program, Prague and practical questions! And we also got the detailed program, specially tailored for our choir, which we greatly appreciated. (Thanks for the many work of you!) It was really well organized! It was nice to connect with other choirs from different countries across all borders. We like to come back to a future event. ... that we more than 30 singers will keep the choir tour to Cantate Carlsbad for a long time in the best, beautiful memory! This was a very exciting, interesting choir tour for all of us, because everything was unknown to most of us, new territory! 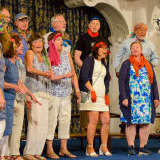 Czech Republic, the historically very interesting Carlsbad, Marienbad, the great choir performances, the nice contacts with the other, participating choirs, everything worked out great! Thank you for a very pleasant choir festival in Amsterdam. We all had a great time. As always, the basic organization was good, like hotel, food, concerts, excursions etc, which is very important. You and your team can be congratulated for the good and efficient work. The farewell dinner was very good in terms of food and the fun atmosphere. We were there the first and the last - what else could one say to that? The accordion player was excellent in supporting the singing of the choirs. He worked hard, please forward our appreciation to him. Our Swedish-speaking tour guide and the bus driver did their jobs very well. We felt in Prague as if we had come home and enjoyed it. Please pass on our thanks to all the organizers and tell them that we really appreciated the organization ..... especially the open-air concert at the Christmas market with its great atmosphere, the meeting with the other choirs in St Nicholas , the farewell concert and the farewell party - everything was very good. All excursions and other programs were very well organized. Best marks for music&friends - We really enjoyed the stay and the good organization. 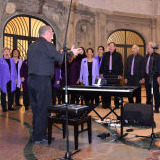 We would like to thank you very much for the excellent organization of Cantate Barcelona 2010. The meeting with other choirs is always inspiring. We also appreciated the opportunity to have the best of Catalonia shown by professional tour guides. In the name of our music ensemble I would like to thank you for your excellent organizational work. The meeting and the workshop with Josef Vejvoda was a positive experience of lasting memory, so as a association chairman of 34 music clubs I can only recommend music&friends. The choir tour of the choir ASBAC was wonderful! Everyone was excited. It was a dream trip. The group is already thinking of the following trip ... Thank you for everything - you were sensational! Many thanks for a trip to another star, so we all felt it, also thanks to the bright blue sky. The guided tours with the very sympathetic and competent tour guide were entertaining and interesting, the hotel left nothing to be desired and the meetings with the choirs and the performances themselves were a pleasure that caused goosebumps. Wonderful music with nice people. It was just beautiful. Thank you very much for this unforgettable experience that we will all enjoy and dream for a very long time. We had great experiences with the performances with the other choirs in wonderful venues in front of a knowledgeable audience. What a wonderful buffet at Farewell Dinner - not to be described in words !! Amsterdam is a beautiful city that we experienced with great pleasure. I would like to thank you very much for the very good organization of our performances in Prague. Many Thanks! 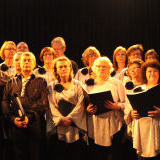 The festival was well organized and the atmosphere between the choirs was wonderful. We hope to be able to participate in more music&friends festivals in the future. The trip to Munich was successful. We had a lot of fun and the tour guides did a good job ... There will be some things we will tell in a few years ... Löwenbräukeller: we had a very fun evening and two great musicians made the mood. Brilliant. In summary, I would say: Should we once again plan such a trip, I will remember your address. Dear new good friend Wolfgang, we would like to thank you and your organization for the very very good experience. Our stay at Cantate Croatia will not be forgotten so soon. One of my best choir tours in my 43 years at Grünerloekkens Mannskor. Thanks again for fantastic days in Istria. We returned to Salvador. First, we would like to thank you for everything - everything was wonderful during the stay and at the concerts. The tour guide did a great job and the farewell dinner was perfect - compliment! 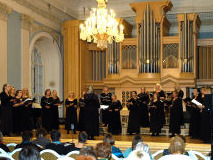 We really had a wonderful time with you in Budweis and our choir enjoyed the stay and found the program just perfect. The information we received was correct both at the planning stage and during the festival. Greetings to Helena, our brilliant guide.